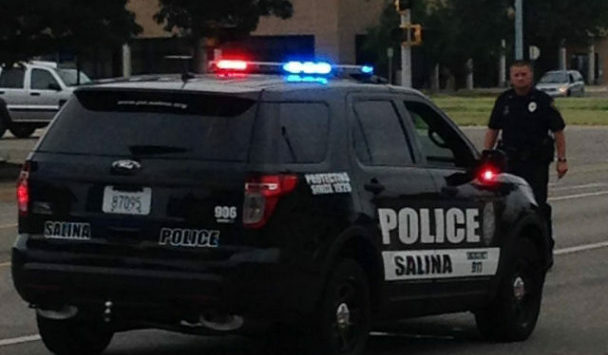 A Salina man is facing charges of aggravated assault and criminal threat after allegedly pulling a knife on his father. Police arrested 27-year-old Kristoffer Augustine on Saturday night after a confrontation in his dad’s car. Captain Paul Forrester tells KSAL News that 58-year-old Michael Augustine gave his son a ride to a home in the 400 block of S. 10th to load some property for a female friend. Kristoffer then took the 2016 Kia Optima for a short errand and returned with a flat tire. His dad exited the vehicle and Kristoffer was arrested a short time later at an apartment complex in the 700 block of Fairdale. Police say the car’s tire was shredded and the engine was leaking fluid. Damage to the Kia is estimated at $1,500. Kristoffer Augustine is also facing additional charges for felony theft and criminal damage to property.